1. Visit Indane Gas Page to find your LPG ID. Enter your Mobile Number OR Aadhaar Number, Capcha code and Click on Proceed button. 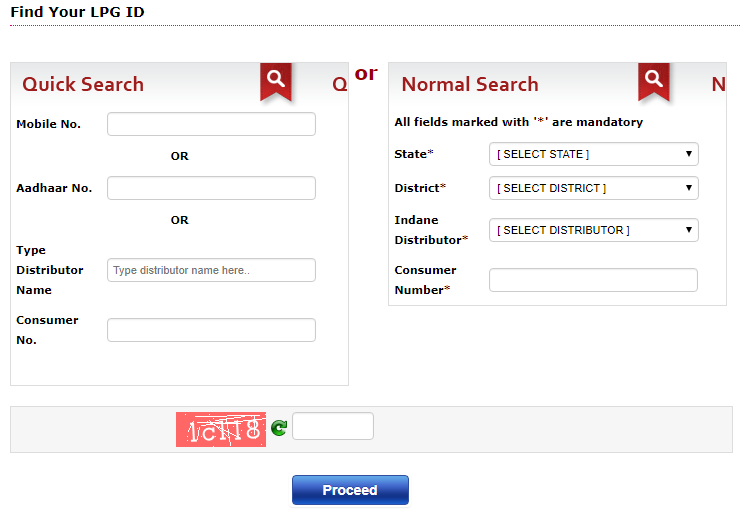 If your Mobile and Aadhaar is linked with Indane Gas your LPG ID and Consumer Number along with Gas Agency name will be displayed just below the "Find Your LPG ID" caption. You can also find your LPG ID by selecting your distributor number and entering the consumer number.